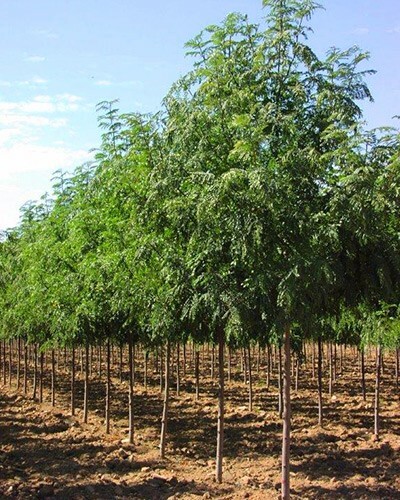 This outstanding tree is more compact and symmetrical than other honeylocusts. It has refined bright green foliage turning to yellow in the fall. 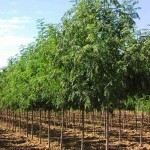 Perhaps the finest honeylocust for shade, it is known for its strong, straight trunk and ascending branches. 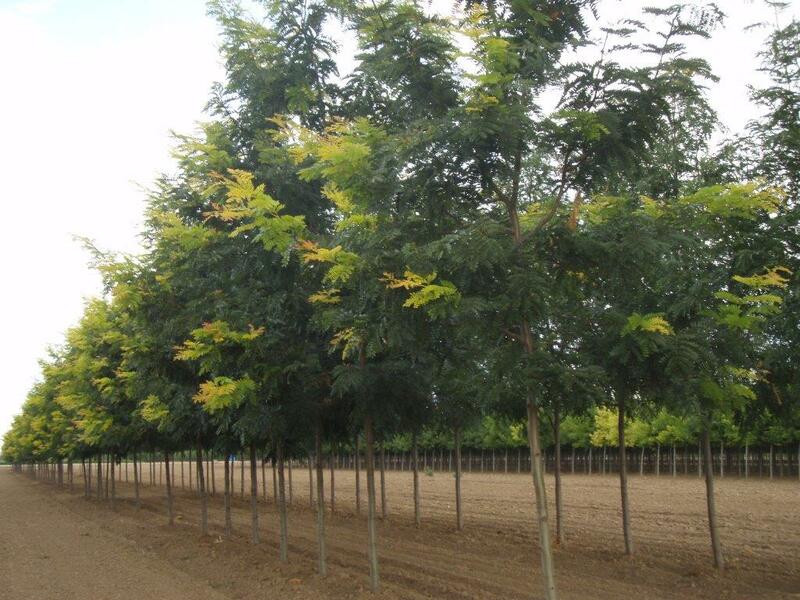 A thornless variety, it has fine green foliage turning yellow in the fall. 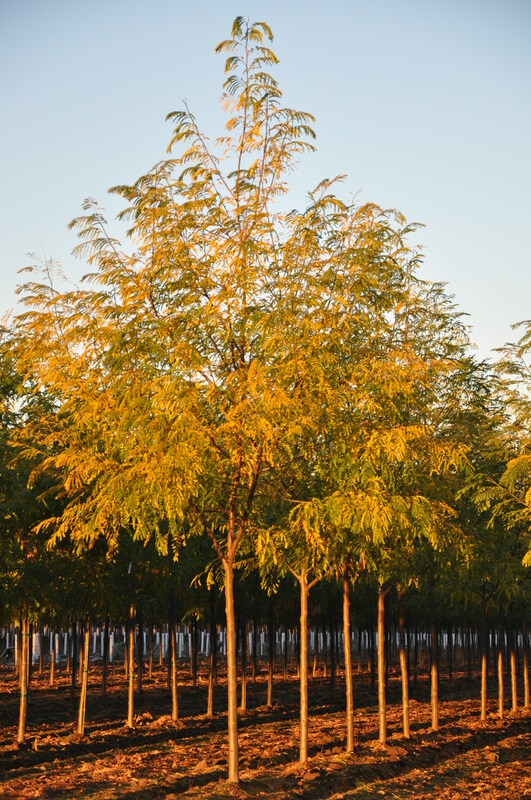 This distinctive honeylocust takes on a stately pyramidal form. It is thornless and seedless, with dark green leaves and yellow fall color. Noted for its striking yellow-gold new foliage, the Sunburst exhibits an impressive pyramidal form. 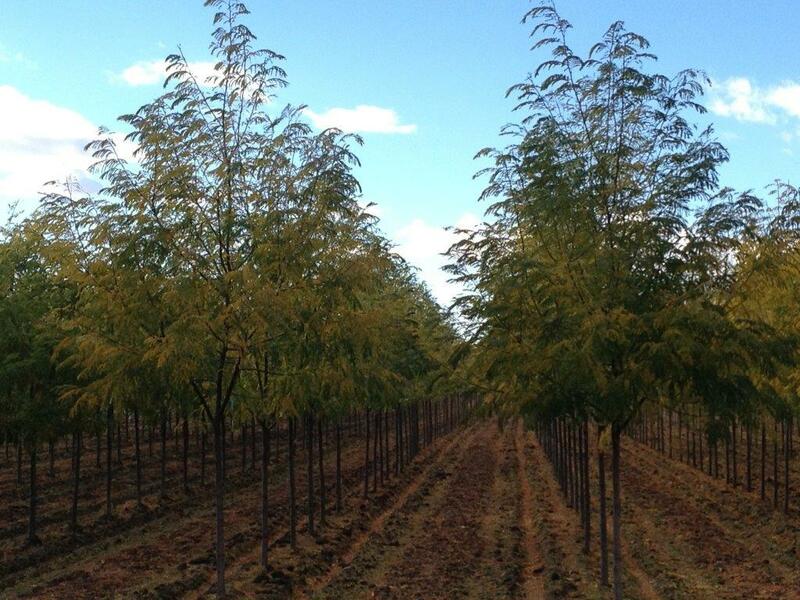 Its leaves turn bright green as they mature, and then again golden-yellow in the fall.